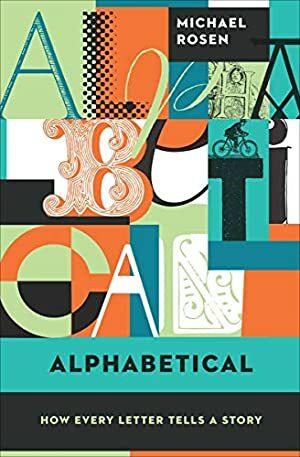 A "beguiling... passionate and funny" biography of the alphabet -- from A to Z and umlauts to dictionaries -- by a bestselling author "whose fervor is contagious" (Boston Globe). In Alphabetical, Michael Rosen tells the fascinating tale of how our modern alphabet -- those twenty-six peculiar shapes and their corresponding sounds -- came to be. With a chapter devoted to each letter, Rosen shares personal anecdotes and fascinating facts about the history and evolution of written language. Starting with the mysterious Phoenicians and the first time sounds were turned into symbols, he races on to show how nonsense poems work, pin down the strange story of OK, trace our five lost letters and tackle the tyranny of spelling, among many other things. His heroes of the alphabet range from Edward Lear to Phyllis Pearsall (the inventor of the A-Z), and from the two scribes of Beowulf to today's most innovative rappers. Exploring subjects from codes to umlauts and the writing of dictionaries, "Rosen has written a charming and thought-provoking book about what written language represents, how we use it, and the joys and mysteries therein." (Publishers Weekly, Starred Review). Log In to track Michael Rosen on eReaderIQ. to be notified each time the price drops on any book by Michael Rosen. to stop tracking Michael Rosen. We started tracking this book on January 20, 2015. The price of this book has changed 56 times in the past 1,551 days. The current price of this book is $9.99 last checked 21 hours ago. The lowest price to date was $1.99 last reached on December 3, 2018. The highest price to date was $16.99 last reached on August 10, 2018. We last verified the price of this book about 21 hours ago. At that time, the price was $9.99. This price is subject to change. The price displayed on the Amazon.com website at the time of purchase is the price you will pay for this book. Please confirm the price before making any purchases.